Religious Professions took place in Lima Peru on 5th January 2008. Today in Marrickville (Sydney, Australia) the 2008 Novitiate begins with a Clothing Ceremony taking place at Evening Prayer. In this ceremony our novice receives the Habit of the Passion. The Passionist Superior General, Father Ottaviano D’Egidio, C.P., sent a message and greeting from Rome which was read at the Funeral Service for Bishop Paul Michael Boyle, C.P. My personal thanks to Father Bob Weiss, C.P., and the Passionist Community in Detroit for their gracious welcome and hospitality. My thanks to Father Blaise, C.P., for making these photos available. Into your hands, Father of Mercies …. 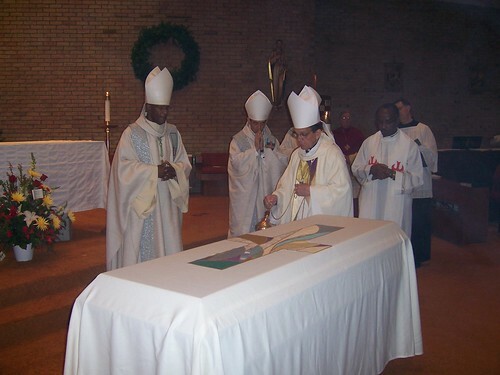 Bishop Charles Dufour, D.D., of the Diocese of Montego Bay, Jamaica, West Indies was Principal Celebrant of the Funeral Mass for Bishop Boyle held at the Church of St. Catherine Of Siena, Detroit on 16th January 2008. 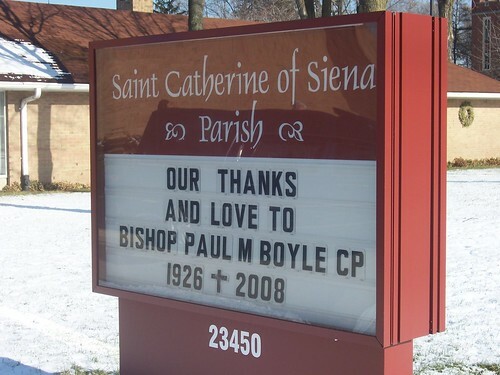 The Funeral for Bishop Paul Michael Boyle, C.P. 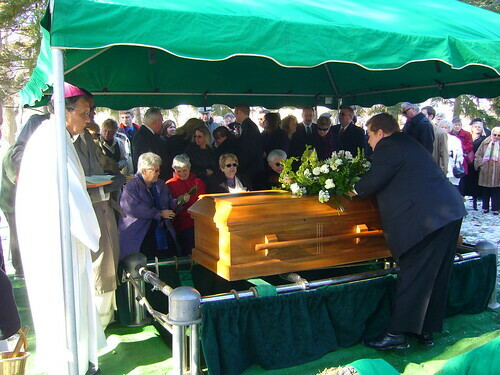 There will be no blog entries for about a week or so as I leave Sydney tomorrow (Sunday 13th January 2008) to represent the Passionist Holy Spirit Province (Australia, New Zealand and Papua New Guinea) at the funeral for Bishop Paul Michael Boyle, C.P. 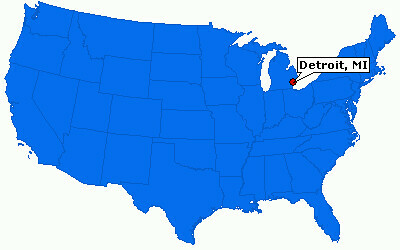 in Detroit, USA. Wake: 3 p.m. to 7.00 p.m.
Mass of Christian Burial: 10.00 a.m.
All powerful God, grant to our brother Paul, one with us in the sacred bonds of the Passion, forgiveness of his sins. His desire on earth was to be like Christ, your Son. May he rejoice in his presence and praise you for ever.